One third of science teachers are 'Climate Change Deniers' and teachers who do teach climate change are often not teaching it correctly, according to a survey commissioned by the National Center for Science Education, an organization that advocates teaching climate change theory to students. "At least one in three teachers bring climate change denial into the classroom, claiming that many scientists believe climate change is not caused by humans" says NCSE programs and policy director Josh Rosenau. "Worse, half of the surveyed teachers have allowed students to discuss the supposed 'controversy' over climate change without guiding students to the scientifically supported conclusion." "Scarier still: three out of five teachers were unaware of, or actively misinformed about, the near total scientific consensus on climate change," NCSE said in a release. "Teachers who want to teach climate change accurately and honestly don't have an easy time of it." "There are some great climate education resources out there" says NCSE's climate maven Dr. Minda Berbeco. "But many teachers don't have time to find and evaluate these materials". How much climate change education are kids ultimately getting? "Not as much as we had hoped, and not enough to provide students a solid grounding in the science. Often, it's only one or two hours in the entire year!" says Dr. Eric Plutzer, professor of political science at Penn State, who designed and implemented the survey. "The good news? 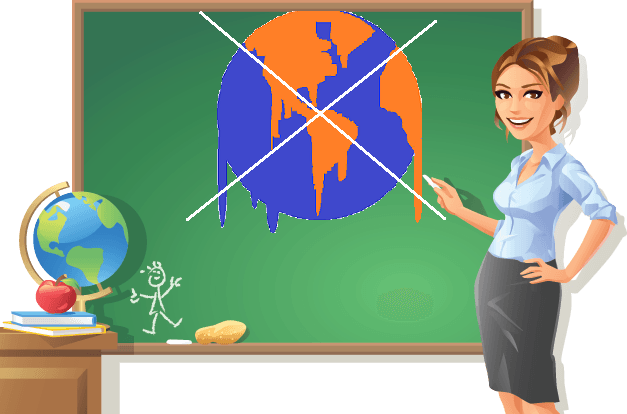 Few teachers were pressured to avoid teaching about global warming and its causes." "It's clear that the vast majority of surveyed teachers are hungry for additional professional development" says Berbeco. "Even half the teachers who deny the scientific consensus on climate change say they would take this training." "Teachers didn't create the polarized culture war around climate change" says Rosenau, "But they're the key to ending this battle." According to a Gallup poll, more than 4 in 10 Americans say the seriousness of global warming is generally exaggerated in the news. Locally, the debate over climate change policy can have a direct affect on Florida's Space Coast. That's because different science projects at NASA are funded based on those policy decisions. Under President Barack Obama, NASA resources and missions were shifted more towards climate change research. However, Republican Presidential Primary candidate Senator Ted Cruz (R-TX) is a staunch critic of global warming theories. He wants the space agency to "refocus our investment on the hard sciences, on getting men and women into space, on exploring low-Earth orbit and beyond, and not on political distractions that are extraneous to NASA’s mandate."